I am obsessed with routines, particularly the routines that can improve efficiency. Running six separate businesses can take a significant toll mentally and energetically so it is important that I am always testing to find the daily routines, rituals and habits that can give me the edge that I need to efficiently and effectively operate. What follows are the systems that I’ve adopted for my own workflow that can support you in your own professional development. What follows are routines that I suggest are done without negotiable. This means you schedule the time for these items first and you never schedule anything over them, nor ever bump them – despite how busy you may get. The purpose is to become more efficient. I start my mornings with either a brief meditation or a few minutes of calm breathing. My goal is to do this before I check e-mail, texts, voicemails or social media. This is the hardest of all the items to stick to because it does not feel concrete. But it is actually an imperative action. I find that the busier I get, the better I feel the longer I meditate. The longer I meditate, the more focused I can be the rest of the day. The longer I meditate the more efficient I can be. Imagine cutting your work time down significantly because you took a few minutes at the start of the day to breath. By no means am I an expert at meditating. That is not the point. The point is to meditate so you can become better at life! Take a few minutes, get comfortable, close your eyes and breath. You can think about things you are grateful for, you can think about your intentions you want for the day, you can think about the future you want to manifest. That is entirely up to you. But at minimum take 5 minutes to breath. If you can’t afford those 5 minutes, then you are simply not serious enough about becoming more efficient. After those 5 minutes I check my daily journal. I prefer doing bullet journaling. This is quick bullet points and lines about action items and notes I have for that specific day. I write most of these the night before (see below) but will update them in the morning based upon what I feel I need to work on that day. It is only after I’ve done those two things do I allow myself to check my e-mail, texts, voicemails and social media. Now the rest of the day is at your disposal on how you choose to organize your time. For example, I do my best, most creative work either early in the morning or late in the evening. For example my time writing I do really well in the morning or night. Whereas in the afternoon I can’t be creative to save my life, so I save that time for responding to e-mails and doing paperwork like my invoicing. I, of course, give top priority to the items listed in my journal. Those are the most important things I have listed that need to get done first. Once I accomplish those I can shift my focus to what every else pops up. I also try to sweat at least 5 days a week. Typically this means I take a break from work in the afternoon (when I am at my lowest creatively) to go to the gym and sweat. Or I even will just walk away from work to take my dog for a long walk in the middle of the day. The exercise is amazing to re-energize my brain and help me get back into focus for a second wind of work in the late afternoon, early evening. The point is, the day should be organized based upon when you do your best and most important work. I tend to keep my nights away from my laptop. The big exception to this rule is when I am writing and I feel my creativity fire up. In that case I will hit up a late night coffee shop and write until my brain turns to mush (just my process for writing). Otherwise I actually enjoy the time away from my 15inch monitor (or my two 24 inch monitors in my office). Then tomorrow morning after my meditation I will look at this entry and add to it with anything that I feel also needs my attention. I have a challenge for you today and it is NOT an easy one. What is one thing you could do today that would DRASTICALLY move you, your brand in the right direction… but once you do it, you cannot take it back? Is it a email you should be sending? Is it a tough call you need to make? Is it a conversation you need to have? Is it a purchase you need to make? Is it a program you need to publish? Is it a project you need to release? Is it something you need to quit? My challenge for you today is to decide what that is… then do it. No turning back now. A magazine comes out and you were fortunate to land a feature inside the issue or, better yet, you are on the cover! Now the time clock has started. In 30 days that magazine will no longer be on newsstands and will be replaced by another publication featuring someone else. You need to capitalize on this opportunity to leverage your feature and help it grow your influence or your profits. Here are some pointers on how to gain extreme momentum with a published feature. PROMOTE the feature on all of your social media channels. Help the publication out by driving traffic back to them. Encourage people to pick up the issue. Take a photo holding the issue. Ask people to tag themselves grabbing a copy of the issue. Do native posts as well as stories. GO BEHIND THE SCENES by sharing the details on how the feature came together. Perhaps it is a blog feature, or a YouTube showcase or a podcast where you go into the background on how the feature, photo shoot and resulting printed piece was put together. Share the behind the scenes articles on your social media channels and consider promoting those posts. USE THE LOGO from the magazine on your website under a headline saying “As Seen In” or “As Featured In” in effort to increase your credibility with your audience. HAVE A CALL TO ACTION on all your channels. Your social media channels should be encouraging all your new visitors to check out your website where they can sign up for your newsletter, or obtain your lead magnet, in exchange for their email address. This is crucial so you capture their information before you lose their attention in you. You can also make magazine features work for your brand in perpetuity. Going back to repost your published features, sharing information about it, behind the scenes and more to either remind people that you were featured, or to show new followers or subscribers your validated features that they were not aware of! Author’s Note: If you enjoyed this article or found it helpful – please share it with a friend or colleague. Also, please contact me when you are ready to level up your professional photography, graphic design or video needs! 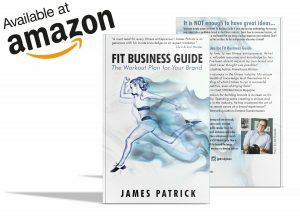 A number of years ago I authored the e-book Fit Model Guide: How to Get Published and since then have sold hundreds of copies to fitness talents wanting to learn what it takes to get featured in magazines. The book included interviews with a variety of top magazine editors, communication specialists and marketing gurus each giving their insights, best practices and resources to help you get published in your favorite magazines. I’ve decided that I am going to be making a long overdue sequel to this book! But, before I crack open the laptop to start writing a new guide, I want your feedback first. What are your main struggles in getting published? What are your questions? What do you want to specifically know about getting publishing in magazines? Please connect with me directly to share with me your thoughts and questions. Thank you so much! Our parents have tried to instill upon us that we are not to judge a book by its cover. Perhaps they meant this literally as we would go through a library or bookstore and want to grab the flashiest looking book. But they also meant it metaphorically by not judging others by how they appear. But to the literally meaning I have to ask the question, if we are not supposed to judge a book by its cover, then why do books have covers? 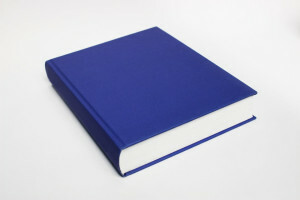 Why did publishers hire cover designers? Why did they pay cover photographers? If we are not supposed to judge a book by its cover – why are the best books or magazines on the shelves placed with the cover facing out instead of the spine? In my own career I’ve photographed literally hundreds of magazine covers. Why would I get hired to shoot as many covers as I have and be paid what I was paid if the cover did not matter? The reality is, we do not live in a utopian society. We will by nature always judge a book by its cover. What that means is we will always judge people based upon what they show us. Thus, how you present yourself is important. You showing up on time is important. You showing up often is important. You showing up as a professional is important. How you display yourself online is important. The things you say are important. If most people never get past the cover you are showcasing – the question becomes are you showing a cover worth looking further into, or are you showing a cover that people will just pass up? What follows is a quick snapshot from our full interview we did with the Editor of Women’s Health & Fitness Magazine, Katelyn Swallow, on what models and contributors need to know when pitching to magazines. If you would like to read the full interview, please head over to the FITposium online network! I am responsible for everything from editorial planning, marketing strategy, events and talent sourcing to writing, editing and image sourcing (including covers). Primary goal is to create original, science-backed and useful content for readers. In regards to industry experts, I am looking for people who are articulate and knowledgeable (go beyond your basic personal trainer qualifications and get educated/experienced), and go above and beyond in terms of content and timeliness. For models/trainers, it’s all about their quality of images, having a clear point of difference, their social following/brand success, how they align with our own brand values and how well they present themselves to camera. b) how your personal brand aligns with the Women’s Health & Fitness brand. Images need to be high-resolution, of good quality and aligned with out brand values. For example, there is little point figure competitors sending images of themselves posing to Women’s Health & Fitness – we aren’t a body building magazine and those images do not appeal to our audience. Mountains of dense text with no spacing is a big no-no. Editors are extremely busy people – we need the short and sharp facts in an easily digestible format. Don’t tell editors your life story: make it about them and what you can do for their brand, rather than over-selling yours. Your social media needs to align to our brand values in a similar way to your pitch. Get content to editors in a very timely fashion without compromising quality, and I guarantee you they will come back time and time again! Make sure you never take your success for granted and keep pushing toward your next goal. Stay humble and never burn a publishing bridge. Special thanks again to Katelyn for the great interview. Be sure to head over to FITposium.com to read the full interview! The FTC has issued an enforcement policy on deceptively formatted advertisements to attempt and combat “unfair or deceptive acts or practices affecting commerce.” The 16-page policy comes down to one simple rule; advertisements should be clear that they are advertisements. In his book, Trust Me I’m Lying, author Ryan Holiday goes in depth on how the shifts in our economy and how news is consumed have pushed publishers to focus on traffic by any means, and are driven by the markers, thus compounding the issue further. It is an era he confirms is the death of subscription and the birth of media manipulation. So to come full circle to the question that was posed as the title of this article; should models pay to be featured on a magazine cover? Let us explore this question from a few different angles. First, would anyone pay to be on a magazine cover if the magazine itself was open and transparent that the cover was entirely for sale? Locally there exists a 100% commercial publication geared towards real estate professionals and their listings. Everyone in the publication, from the cover to every article to everyone ad was bought and paid for. The publisher and the magazine are very clear, open and transparent about it and it indicates as such inside the magazine. So when someone posted on social media how “surprised and honored” they were to be featured on the cover when it came out – it begged the question, at what point were you surprised? Where you surprised when you wrote the check for the feature? Where you surprised when the photographer the magazine sent, that you paid for, showed up to photograph you? At what point did this catch you off guard? The result was a bit of online embarrassment for this subject who wanted her audience to believe she earned the editorial feature, when in fact all she did was pay for an advertising feature. Consider your favorite fitness magazines. How would you feel if your favorite covers you’ve seen, or the influencers or icons you follow bought and paid for every single one of their media features and nothing about it was earned or merited other than sending in a check? It would change your perception wouldn’t it? Let us now take it even further. Suppose this became the norm for every magazine that featured models. If everyone was aware that the covers were up for sale and that anyone with the right amount of money could buy their ticket onto it, at what point what you stop paying attention to covers altogether? That is perhaps the final and most important question in this overbearing topic. Although it is not permissible in the states due to the FTC regulations, it does happen overseas. Thus will the short-term solution of publishers being able to profit by selling the covers turn into a long-term issue when they lose subscriptions as a result? That we will find out much sooner than later. The James Patrick Photography team is opening our new photo studio! 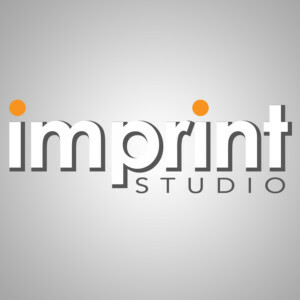 We have partnered up with Imprint to open up the new Imprint Studio in Scottsdale, Arizona. For the past 15 years we have simply rented locations when we have photo shoots; but now are entering the realm of ownership! 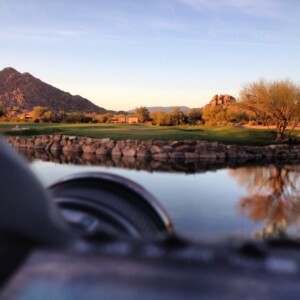 This opens up nearly any date for your photo shoot project! Please contact us for your shoot needs and stay tuned for further details on the studio grand opening celebration! What Does TFP Mean to a Professional? It doesn’t happen often, but every now and then a model will send me a message to inquire if I am willing to offer them a TFP photo shoot. Their responses vary slightly calling it “Trade for Print” or “Time for Print” or “Trade for Photos” but the gist is always the same – they are inquiring if I am willing to give them a photo shoot at no cost. But I always get the photos. Regardless if I charge someone or not, I still get the photos. As a photographer I own copyright of anything I photograph as soon as my finger clicks the shutter button. So why, as a professionally, would I forgo making money in exchange for getting someone I would have already which is the rights to use the photos? I get and understand that amateurs may be willing to hire professionals or trade with others to grow their portfolios. I did that when I started. But here is the key – they are getting images they are not presently being hired for. When someone contacts me and asks for a trade, they are asking me to give images that thousands of others are already paying me for. Why would I offer that for free, ever? How does it ever benefit me? Images I am willing to shoot without payment, more often than not, don’t really involve models at all. I started a personal campaign of photographing portraits of veterans. There is no exchange of finances – but I am doing work that satisfies the artistic side of me. When I go camping and make images of the scenic landscapes I find, once again there is no exchange of revenue. I am just making images I could not otherwise. I am not saying I will never, or have never, given a free photo shoot to a model. But there has to be something in it for me to make it a trade. If the model is getting photos, what is the photographer getting? Offering what I get anyway is not the solution. It is like one kid asking to trade baseball cards with another but really just wants to get more cards and give none. So what are you offering? Quick hint, it is not offering sexier images. That is a sure-fire way to get your e-mail deleted. If that works on a photographer – I’d encourage you to be worried at their motives. Perhaps offer a style of photography they want to try but never have that you could provide for them. If that doesn’t work – consider just paying them for the images you personally want. Last week I received an e-mail from an South Africa based music company who wanted the rights to use an image I did of a model for a 20-minute workout track they were releasing. The e-mail noted that my “photographs are amazing” and that they would credit me for all posts on social media and would send me a mockup of the advertisement they were going to create with my work on it for approval. What they did not know is that the model already had received and showed me the concept they created. What this told me is that they were already invested enough into my image to have their designer create the mockup. This provided me even more leverage in the negotiating process. I responded to let them know I had already seen the mockup and loved the work they had already done on it and I would be please to sell them the rights to use the image. I then provided them two different pricing options. The first was a three-year release for them to use the image non-exclusively for online posts only. The second was also a three-year release for them to use the image non-exclusively, but for an upcharge they could use the image in both print as well as online. Their response was slightly offended. They repeated the dollar value and exclaimed how high it seemed to use the image online. They then followed that with how they have photographers there willing to give them images at no cost. There are several very important things to consider in this exchange. First, ironically, they originally were so confident that by simply tagging me or putting my credit on the photo that the “exposure” I would get from their using my image for free would be worth its weight in gold. Yet when I asked them to put their own skin in the game by paying for the image, they jumped back. Apparently they don’t believe in their own abilities to drive exposure anymore now that they have to pay for what they are using. In this scenario they wanted all the benefit without ever having to incur a cost. Second, what did I lose by not letting the image go away for free? Nothing. I still own the image and the rights, if I want, to sell it elsewhere. Allowing someone to have that image and use it commercially (as they intended to do) devalues what anyone else might be willing to give for that image. Third, did I miss out on any exposure opportunities? Highly doubtful. A lot of clients love to use the word exposure but what does that really mean? I don’t see much potential in their South African audience of music fans seeing the image, wanting to know who took the image, following me and then hiring me. Even if it got me a few extra followers on social media, they probably wouldn’t be followers that would hire me – so not very helpful. Fourthly, even if I would get exposure from it, if I got paid for it then it is a double win. Why forgo a paycheck for the slim potential of exposure? How does this relate to models, particularly in the fitness industry? There are so many commercial outlets that are beginning to use your images and so many models are willing to let the images go at no cost – only to see in hindsight that it never helped them, never assisted in growing their business, never aided in the development of their brand. Every image you and a photographer have together has a dollar value that some clients are willing to pay for. Allowing it to go for free just so you can say you appeared in an advertisement that is about a product and service, not about you, does not equate to a sustainable business model. Unlike an editorial feature, which would be about you and your brand, an advertisement is about what the company is selling – and what they are selling is not you. Another scenario I had was about two years ago where a company, which released some herbal supplement wanted to use one of my images on their product label. I gave them a quote and they instead went with a photographer who was willing to give it to them for free. The model was happy at the time, till now two years later she has never received a penny from the usage and her brand is exactly where it was back then. The photographer also got nothing from it except the illusion of exposure. The company however, they made profit by selling the newly labeled product. There was a winner in that – but it was not the photographer, nor the model. Your images have a value. The more a company wants to use them, the more impression they want to have with them, the more the images are worth.